Investors are still in a tizzy over the slashed revenue guidance Apple issued on Wednesday afternoon. CEO Tim Cook blamed a slowing Chinese economy as well as the ongoing U.S.-China trade war for slowing iPhone sales. Apple shares plummeted as much as 10% after the company announced revenue would total $84 billion in its fiscal first quarter, below the $89-$93 billion range it had given in November. But given Apple’s massive impact, the disappointing news is having collateral damage on the markets as a whole, dragging the Dow lower than 500 points during Thursday’s trading session. Apple’s suppliers are among the biggest casualties, losing as much value as the tech giant itself. One of the biggest losers is Qorvo (QRVO), which provides radio frequency chips and has been falling in lockstep with Apple. The company had called out “recent demand change for flagship smartphones” when it cut its guidance in November. Lumentum (LITE) provides the technology that powers Apple’s facial recognition system, Face ID. Shares were down around 8% on Thursday. 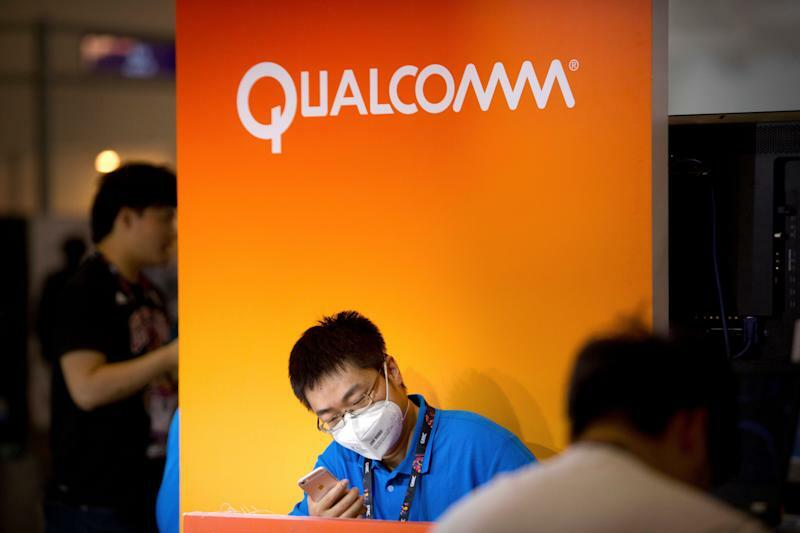 Shares of chip suppliers Broadcom and Qualcomm were under pressure (the latter is also in the thick of a patent dispute with Apple). Corning (GLW), which supplies the glass for iPhones, was down as much as 6%. Semiconductor companies Skyworks Solutions (SWKS) and Cirrus Logic (CRUS) were under pressure. Samsung, along with Universal Display (OLED), are Apple’s main OLED suppliers. Shares of Universal Display have been under pressure since Apple reported plans to “stick with cheaper screens” earlier last year. Independent of Apple, other multinationals have been citing China as a central headwind going into 2019. Council of Economic Advisers chairman Kevin Hassett says we should expect “a heck of a lot more companies” to downgrade their forecasts. FedEx, Tiffany and Co., Mercedes parent company Daimler, and Italian suit maker Zegna have already voiced similar concerns.